In view of Credit & Geo-political Risk worldwide, the Corporates & Financers (mainly Bankers & Financial Institutions) are offering plenty of products to Sellers & buyers to enable them to do Trade. The most sought after product now a days is Factoring & Forfaiting for Domestic & International Trade. 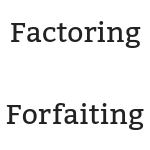 Factoring: A sort of Financial arrangement between the Seller & Intermediary Bank, to sell its Accounts Recievable rights in favour of the Factor (intermediary bank) to collect/discount the proceeds of the bills/Invoices. A business will sometimes factor its receivable assets to meet its present and immediate cash needs. This may involve discounting of bill by the Factor Intermediary . 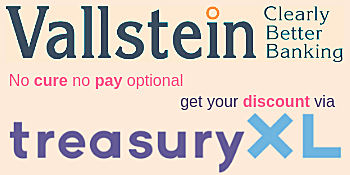 Generally the discounting is done upto between 80 to 90% of the invoice value on Recourse basis. The factor charges, Collection, Administration, Management , Credit Protection & Financing (if done) cost to the Seller/exporter. Generally, the Factor insist for Seller to have this arrangement for all their sales, which is generally not liked by the sellers/exporters, those are keen to give business only for the troubled countries/buyers with Geo-political & other problems. The Factor helps seller collection of Invoice proceeds thru all legal means through their world-wide branches/subsidiaries or correspondent banks network. 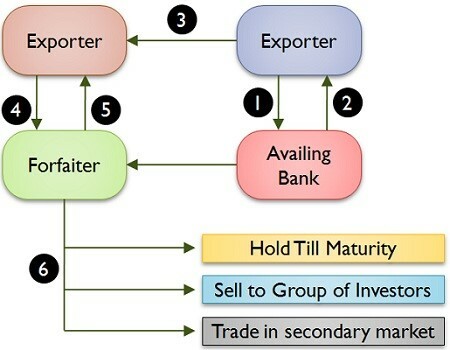 Forfaiting: Forfaiting is a factoring/discounting arrangement used in Domestic/International Trade Finance by Sellers/Exporters who wish to sell their receivables to a forfaiter (intermediary Bank, Financial Institution or a Finance Company) on without recourse basis. This can be for short-term (1 month) to Long-term (10 years) Bills with or without LC on Without Recourse basis. The Forfaiter collect its discounting fee upfront for the entire period and it is the best arrangement for the exporter and intermediary Forfaiter. Its win-win for both, as exporters get the bill proceeds upfront (as all risks are passed on to the Forfaiter) on without recourse basis and gives good income upfront to the Forafaiter. Paying upfront interest to the Forfaiter is permissible by RBI under FEMA 1999. 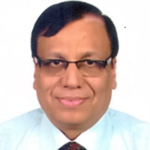 Many Foreign Banks in India are offering these products on aggressive basis, even to the exporters does not have account relationship with them, in order to earn comission, fee & Interest on Factoring & Forfaiting business for their buyer customers LC or without LC, in other countries. Interest Rates are at MCLR or Libor relates rates of interest with lower mark-up. Infact, sometimes, its cheaper for the exporter to get Finance under these schemes cheaper than normal Interest rate charged by Banks to exporters under Pre-shipment or Post-shipment Finance schemes.